Who doesn’t love Cannoli? They are an amazingly delicious and widely popular dessert but it’s a process to make cannoli and sometimes I just don’t like to wait. 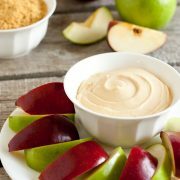 So I thought I’d make it in dip form then just dip crackers and fruit in it. This dip is so much easier to prepare and definitely faster, and of course another wonderful thing about it – less dishes to clean up vs making the real thing (that’s basically my only problem in the kitchen – the dishes. I love cooking, I hate doing dishes. Ask my husband. I’m sure I complain about it far too much). I couldn’t decide which kind of cracker to buy at the grocery store for dipping. I debated about buying the waffle cookie crackers (as it seems similar to a cannoli shell) or almond thins crackers or even anna’s thins then just decided to mix American and Italian and went with something everyone could easily find, just plain and chocolate grahams. I also tried strawberries which were amazing with this dip, reminiscent of strawberry cheesecake. Really you could use any lightly sweet kind of cracker you’d like. Biscotti would be good or if you are feeling up to it you can fry some cannoli chips or flour tortillas and dust them lightly with cinnamon after frying. 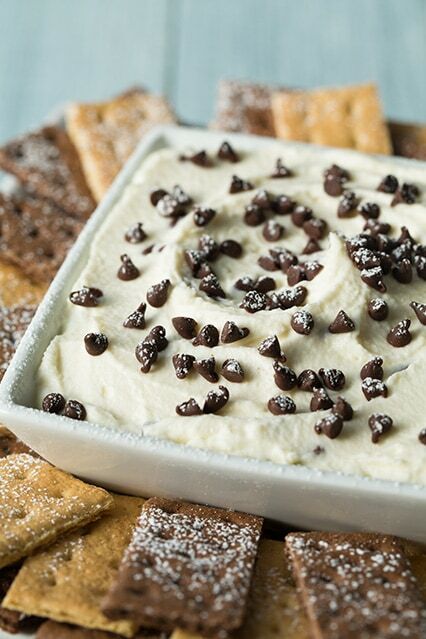 This dip is so divine you really don’t even need anything for dipping. 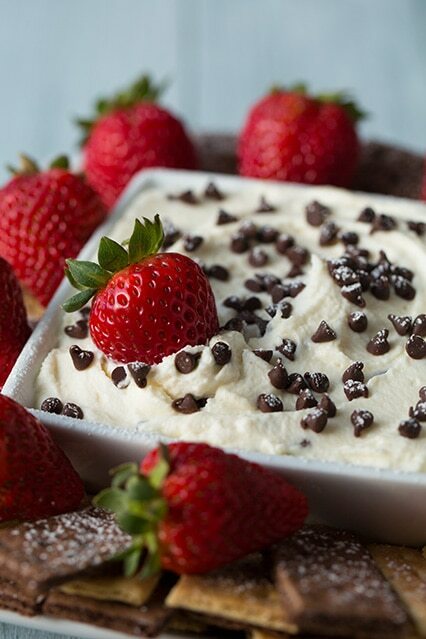 It’s light and fluffy and perfectly creamy. I just started eating it by the spoonful and basically drinking what was left in the piping bag. Am I admitting that to everyone? Haha yes, it’s that good, you’ll do it too. Enjoy! 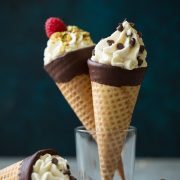 More Cannoli Desserts to Try! 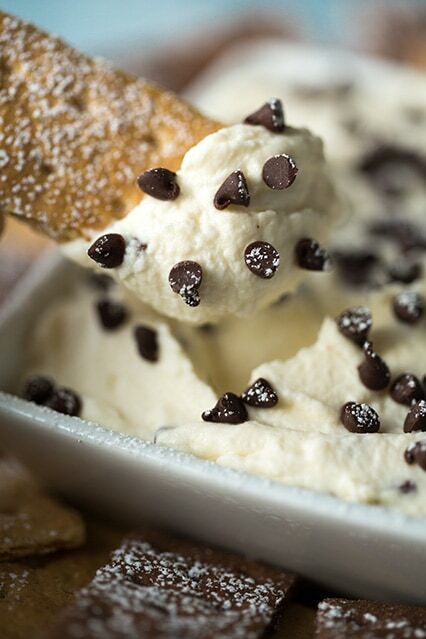 All the flavors of a rich cannoli filling in easy to make dip form! The perfect party treat! In a mixing bowl using a spatula, blend together Ricotta and Mascarpone cheese, while pressing mixture along bottom of bowl to smooth mixture. Fold in powdered sugar. In a separate mixing bowl, whip heavy cream until stiff peaks form. 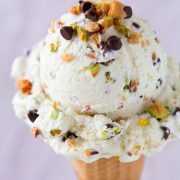 Add half of whipped cream to Ricotta mixture and fold until combined, then add remaining half and fold until combined. 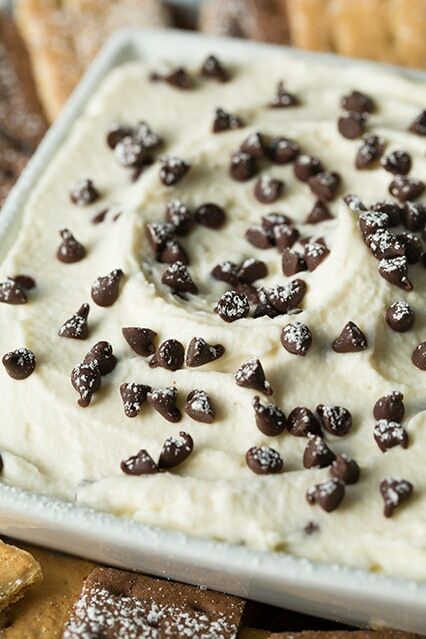 Fold in chocolate chips, reserving 1 - 2 Tbsp to garnish. 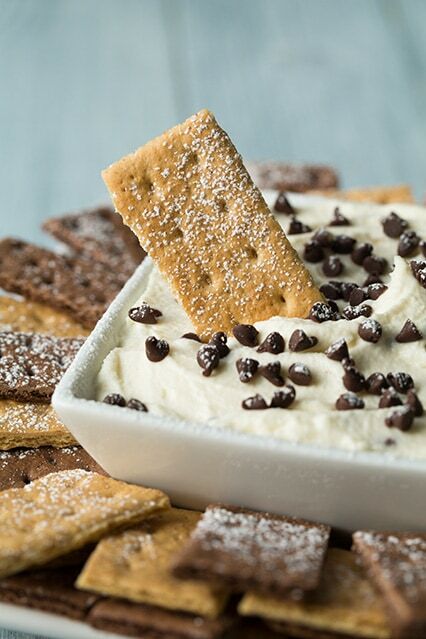 Serve topped with remaining chocolate chips, dusted lightly with powdered sugar if desired and serve with graham crackers, strawberries, cannoli chips or fried flour tortilla chips dusted lightly with cinnamon. *To strain I simply lay the ricotta over several layers of paper towels, then wrap and squeeze to remove excess moisture. You want to remove enough moisture that the Ricotta should hold it's shape pretty well so you may want to do this step twice. 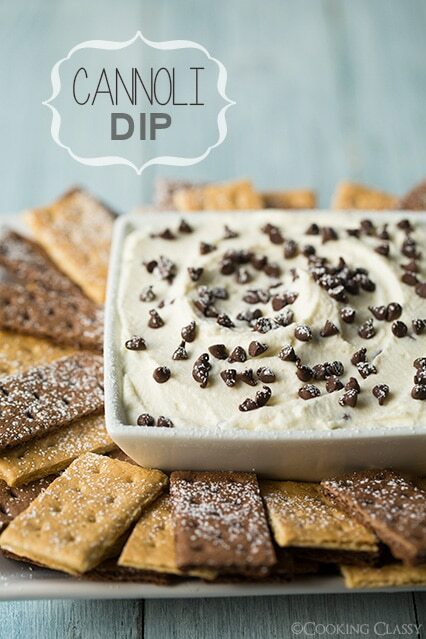 **If you don't want the dip fluffy you can reduce the amount of heavy cream or even omit it (which will give it a texture closer to a traditional cannoli filling).